If you are a frequent internet user, then it is inevitable that you are almost invariably going to end up building a few social media accounts. That simply is a testimony of the meteoric rise of social networking platforms across the globe. Everyone has a social media profile whether it is an organization, a professional or a hobbyist. As a matter of fact, one organization or individual has a social media account on multiple platforms such as Facebook, Google+, Twitter, Instagram and LinkedIn. And that is exactly where a part of the problem lies. Most individuals or businesses happen to build their accounts on multiple social media networks but are not able to manage posts, updates and even monitor their audience. This makes it important that you latch onto effective social media management tools that make life easier for you or manage multiple social media profiles. Modern day internet users browse social media platforms on the go and social media management tools provide them this great opportunity to schedule their posts and manage them from a single dashboard. 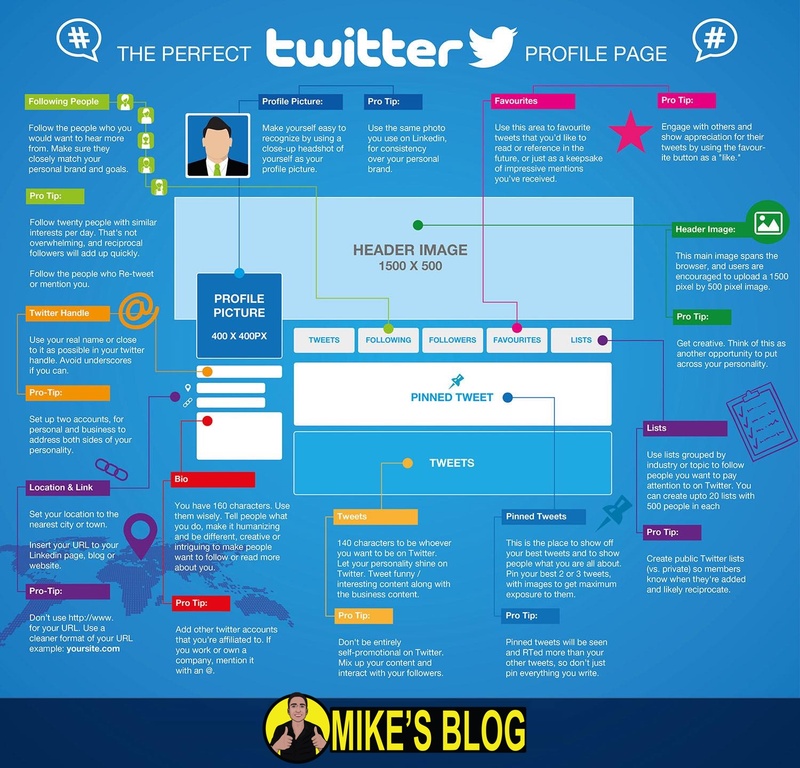 What is more important is that these tools come in handy in ensuring enhanced traffic to get more likes and followers. When it comes to businesses, these tools prove to be instrumental in generating decent number of leads which consequently result in better conversions. Let us go through the best social media management tools and discuss their pros and cons. The ultimate objective is to determine the appropriate choice in accordance with your preferences and requirements. One of the recently introduced social media management tools is Sendible that comes with an intuitive user interface and probably one of the best ones available out there. It enables its users to get access to maximum 20 integrations with the leading social media networks, blogs and social media websites. It can also be integrated with Slack to ensure seamless communication with your team mates. Sendible comes across as a formidable weapon in the hands of a social media promoter as it assists them in forging content that gains attention while keeping their editorial calendar active. The social inbox feature of this handy tool ensures that its users stay updated with all the happenings on their social media accounts by letting them monitor all their brands and profiles and responding to even critique promptly. It is also equipped with marketing automation tools and social CRM to ensure more conversions. Moreover, the in-depth analytics reports keep you updated with how the audience are responding to your brands. Automation tools include automatic replies to tweets and Direct Messages, retweets and welcome messages. The Instagram automation tool is better than Hootsuite’s Instagram tool that scours posts with specific hashtags and likes them. It also configures them to follow the profile of the post and unfollow them if they do not follow back in a pre-determined time span. A 30 day free trial is also on offer for all the plans. Toyota, The Irish Times, Sony Music, Zynga and BBC Worldwide are among the top customers. Here is the link to a detailed review on Sendible. Another extensive social media management tool that we have on our list is the Social Booster. It lets you schedule posts even weeks and months prior the day you want them to be published and ensuring that you keep your audience engaged even when you are unable to stay online. The single dashboard feature enables you to manage multiple social media accounts at the same time and keep your followers bombarded with updated content. The accurate and detailed reporting features ensures that you keep track of performance of your social media accounts. Similarly, you can create a workflow for your collaborators from the dashboard to enhance your productivity. The increased usage of social media thanks to Social Booster also helps you increase your social media following. You can sign up for a free account with requiring to submit your credit card information. You can choose out of Business and Personal category or Social Media Agency category as per your requirement. Pricing plans include Personal, Toolbox, Pro and Enterprise with prices varying between £7.16 per month in terms of annual subscription and £8.95 per month in terms of monthly subscription. Compatible with Facebook, Twitter, Instagram, LinkedIn, YouTube and more. 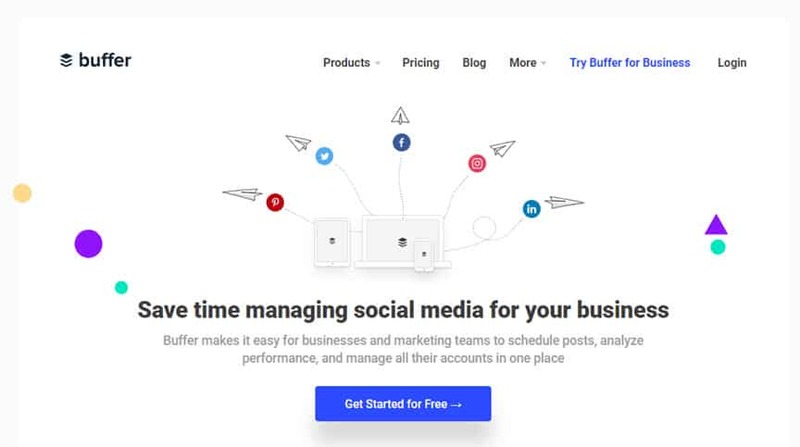 While enabling its users to schedule their posts from a single platform for all their social media accounts, Buffer lets them add articles, videos, posts and photos on the go. It comes with tons of different mobile applications and browser extensions and provides detailed insight and analytics about the traffic. Buffer offers a free plan along with Awesome plan starting at $10 for individuals while plans for medium and large scale businesses vary in price between $99 and $399. The Enterprise plan starts at $899. Hootsuite is yet another effective social media management tool that enables you schedule social networking campaigns and monitor their progress and results. In addition, it also allows its users to schedule messages, tweets, keep track of conversations and view Google Analytics and Facebook Insights from the same dashboard. All the social media accounts are displayed in separate streams and a diverse array of collaboration features play a huge role in bolstering your productivity. You can also apply for six social media marketing online courses with the option to attain certification. Here is a detailed review of Hootsuite. DAVIDsTEA, Marketo, NYC, The Herschel are among the key customers using Hootsuite. IFTTT is the acronym for If This Then That and enables its users to create an unbelievable 306 channel connections with an aim to enhance productivity on an action-reaction regime. For instance, once a blog post is published, a Facebook post or tweet is posted simultaneously. So, the user can connect the desired network with the requisite action via IFTTT known as “recipe” in IFTTT’s jargon. The best feature about Sprout Social is its impressive publishing mechanism which ensures impeccable publishing of posts and tweets. One also gets access to comprehensive insights and analytics to keep track of the campaign performance. Moreover, it also enables its users to monitor searches based on keywords. There are three different pricing plans on offer with the lowest one starting at $59. UPS, Hyatt, PepsiCo, Stanford University and others. Equipped with social media inbox, AgoraPulse provides updates about social content while keeping record of old conversations and synchronizing comments, likes and tweets. The analytics reports are presented in PowerPoint with fabulous graphics to provide detailed information about campaign performance. The scheduled posts feature in PostPlanner proves to be instrumental in ensuring that you get enhanced following from your target audience. It is geared to collating the right kind of content for your followers and publishing it through scheduled posts to increase user traffic. The viral content feature lets you take a sneak peek at the most viral images, videos and posts doing the rounds. The viral content can then be searched to enhance your engagement on different sites. The plans start at $7 a month and include Love, Guru and Master bundles. Social Clout is an insights and analytics tool that provides in-depth data to the users in a bid to help them make informed decisions with regard to their social media marketing strategies. Moreover, Social Clout also helps you monitor your social conversations while the keyword search functionality lets you stay updated with what people are discussing in relation to your brand, business and competitors. You also get detailed information about your competitors and find out where you actually stand in the crowd. The plans start at $49 and include Free, Starter, Value and Enterprise bundles. Previously popular as TweetLater.com, SocialOomph began its technological journey as a solution to enhance productivity of marketing campaigns carried out by the Twitterati. As time went on, SocialOomph gradually but surely began to make their way into improving productivity services with regard to other social media platforms. It comes with a basic social media accounts management functionality while simultaneously enabling its users to schedule posts. Keyword searches, automatic following, Digital marketing inbox clean up, tracking mentions, retweets and tweets via email are some of the functionalities that are included in this application with regard to Twitter. In addition to free plans, premium services along with professional plan are on offer for which the user is required to pay just $17.97 a month at two weeks interval with the initial free trial period spanning seven days. The users can also upgrade from the free plan to the unlimited plan for $6.97 again with payments at two weeks intervals. With a single update engaging only a handful of people, Edgar ensures that the same social media update is automatically published time and again on posting another update for the same category. This ensures that all of your updates or posts get the requisite traction among your audience thanks to Edgar’s online repository which is dedicated to storing all your social media updates classified into different categories. Edgar offers a free 30 day trial with money back guarantee. You can start using it immediately for just $49 a month. Rignite is another extensive social media management tool that has been designed to provide results for your social media marketing endeavors from a single platform. It lets you schedule posts, set up objective based events, promotions and giveaways and review the campaign data. The application has been specifically developed for campaign based posting where posts can be published either in series or separately. The free trial period spans 14 days while lowest plan costs $28 a month out of Silver, Gold and Enterprise bundles. By employing predictive analysis mechanism, Social Flow has the inherent capability to figure out the appropriate time to post relevant content. The software utilizes real time data to ascertain the exact timing to get the content published once it has been placed in the queue. Moreover, Social Flow ensures that the content reaches as much audience as possible by figuring out the times of the day when they are most active and engaged. The official website of the social media management tool does not share any details of the plans on offer or their pricing. The ultimate aim of dealing in multiple social media networks for the promotion of your website or blog is to garner more traffic. One of the most effective methods to ascertain if your content is gaining traction among your targeted audience is to take a cue from the number of shares that your posts are getting. SocialCount has been developed to achieve this objective; i.e. to get an optimum number of shares either for your primary website URL or the content on your blog. The software also presents an in-depth data of the number of shares for each page of the website or the blog. The application can be used by both the professionals as well as freelancers by simply entering their website’s URL and getting to know the number of times their URL has been shared across multiple social media networks. SocialCount is available for free. Designed specifically for Instagram, Schedugram lets you publish and schedule videos and images in bulk from multiple Instagram accounts through an intuitive web interface. With a free trial period of seven days, a single Instagram account costs $20 a month with maximum number of users of 10,000. We sincerely hope that the information provided above about the features, benefits and drawbacks of social media management tools will come in handy for you. If you have used any of these tools in the past, we would urge you to share your experience with us by dropping a comment in the comments section below.